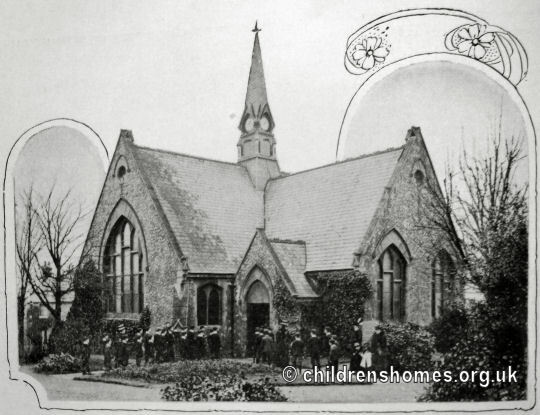 What was to become The Home for Little Boys was established in March, 1864, by Mr. Robert Culling Hanbury M.P., Mr A.O. Charles, and Mr W.H. Willans. It began life in a former parish workhouse building known as Coombe's Croft House, on Tottenham High Road, north London, initially with fourteen boys. In less than two years, the house was full, with more than ninety boys in residence. Accordingly, the Home's Committee began to look for a new location. 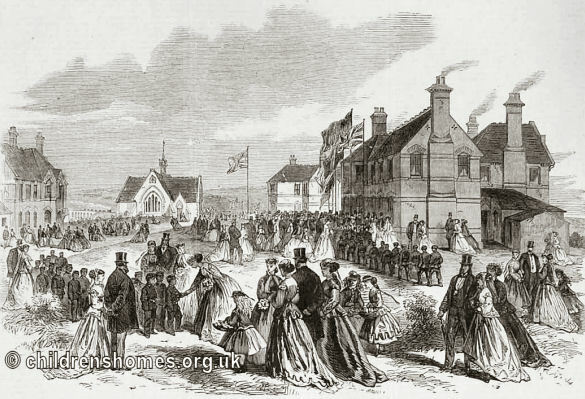 A site was found in an elevated location at Horton Kirby, near Farningham in Kent, and in 1866 the foundation stone for the new buildings was laid by the Prince of Wales. The Home was opened in June, 1867, by the Earl of Shaftesbury. The new premises were one of the first in Britain to be organised on the cottage homes principle. 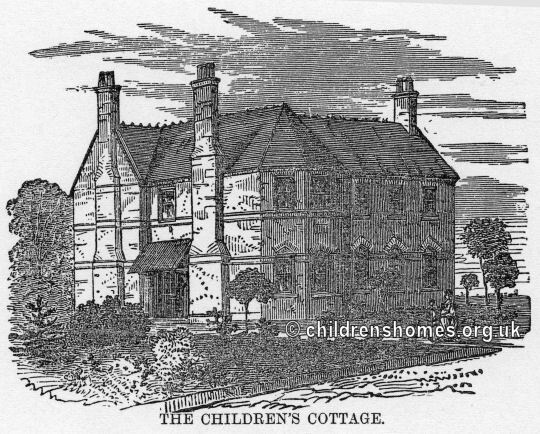 The children housed in a 'village' of so-called cottages, each of which accommodated thirty boys in the care of a Father and Mother. The cottages were not all built at the same time but gradually added as funding was contributed by individuals or groups — a charitable lady giving this one, another erecting a second as a memorial to her husband, while a third (named 'Quiet Resting Place') was donated by the congregation of the Hare Court Chapel in Canonbury, and a fourth ('the Children's Cottage') was the gift of the Children of England. 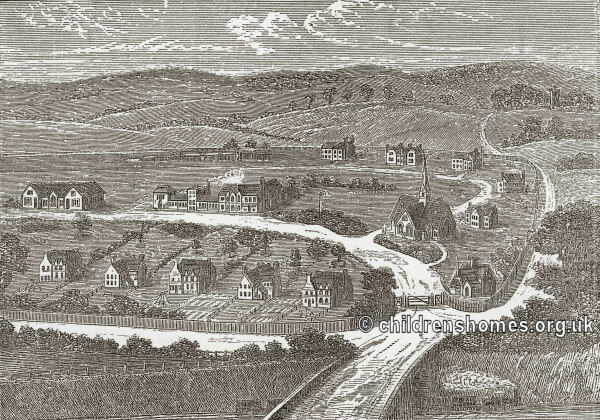 Eventually, ten cottages were erected, housing a total of 300 boys under the age of ten. To these were added an entrance lodge, superintendent's house, chapel, school-house and workshops. The layout of the home is shown on the 1909 map below. Home for Little Boys site, Farningham, c.1909. The Home's declared aim to care for boys who were homeless and destitute, or in danger of falling into crime. 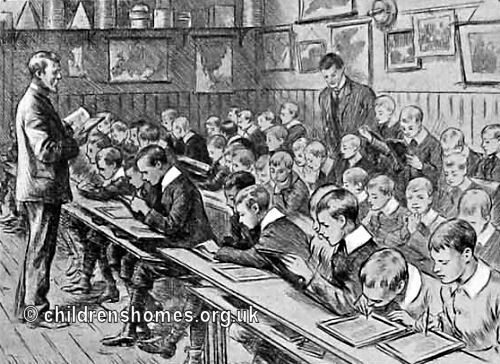 In line with the latter concern, on February 29th, 1872, the establishment was officially certified as an Industrial School, allowing it to receive boys committed by magistrates, although it relinquished this status in 1877. The Home derived much of its income from regular subscribers. Boys were admitted to the Home either by the periodic election held amongst the subscribers, or by a six shillings a week payment by some benevolent person. 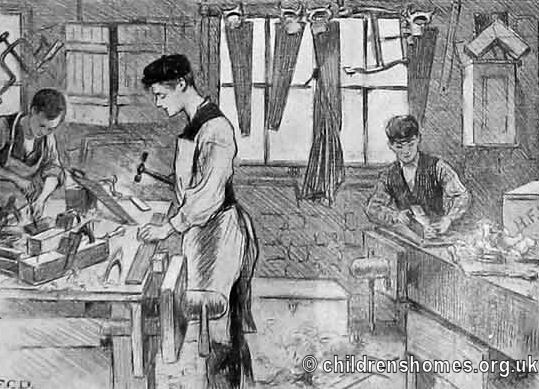 As well as school lessons, the boys were given a wide variety of industrial training. The central building on the site contained a number of workshops for trades including tailoring, shoemaking, carpentry, painting and upholstery. 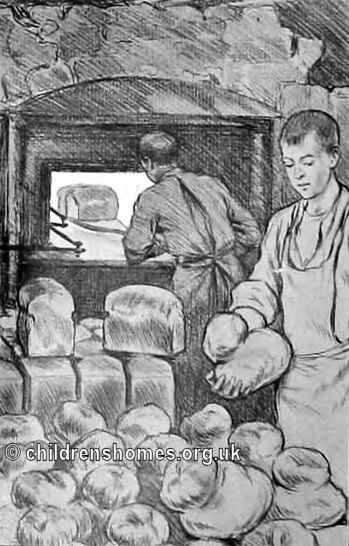 The Home also had its own bakery, and laundry. 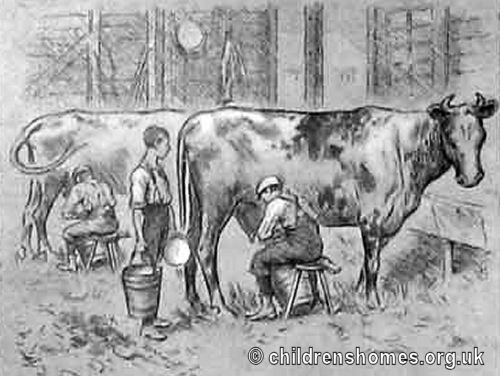 Agricultural and gardening skills were taught at the Home's farm at the south of the site. 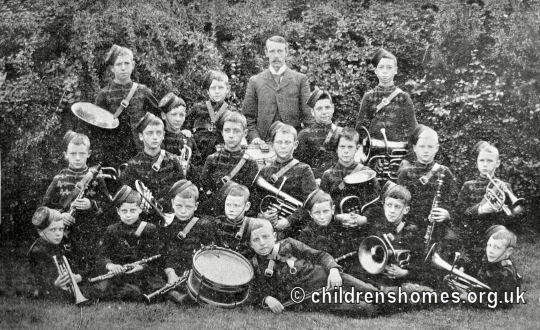 The Home ran its own military-style band where boys could develop their musical interests. Library at Home for Little Boys, Farningham, early 1900s. The home closed in 1961. The site was the taken over by Kent County council and in 1962 became the North Downs Approved School with many of the original buildings gradually being replaced. In 1973, the School became a Community Home with Education (CHE). The site was later used as accommodation for the elderly but is now in private residential use. Only the entrance lodges, chapel, and a 1920s school block now survive. 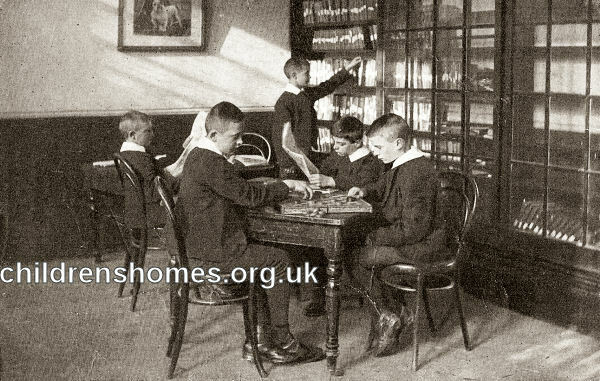 Action For Children (formerly the National Children's Home, NCH) inherited records from the Farningham and Swanley Homes for Boys. Applications relating to these records should be made to NCH via the form on their website.